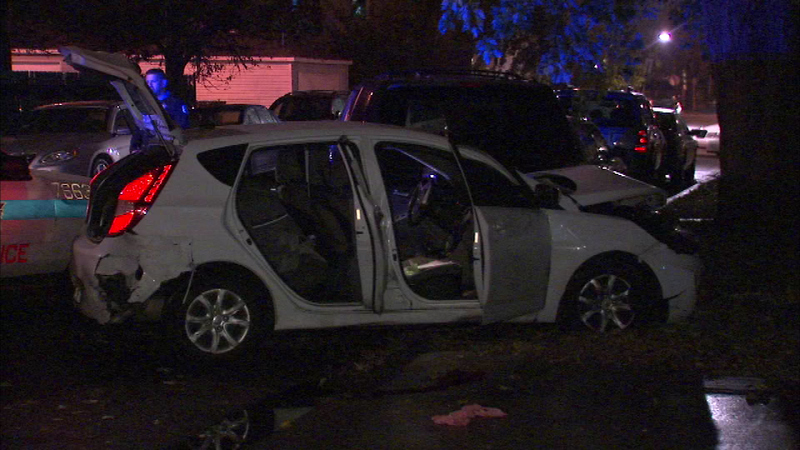 CHICAGO (WLS) -- Two Chicago police officers were hurt during a possible gang-related incident on the city's Northwest Side, police said. The officers were following a car after reports of a possible gang fight in the 4300-block of Wabansia overnight, police said. That car then allegedly crashed into two vehicles parked in a church parking lot near Wabansia and Saint Louis, and police say two of three offenders in the vehicle fled but were soon apprehended. One of the alleged offenders - a 26-year-old man - along with two officers were hospitalized with minor injuries. It's unclear at this time how the officers were hurt.